Fiona Eastwood, director of consumer products, BBC Worldwide, said: "We are thrilled with the recent discovery of The Web Of Fear and The Enemy Of The World and we're very happy to be launching re-mastered versions of these treasured episodes to fans as we celebrate the 50th year of Doctor Who." Nine missing episodes of the cult BBC science-fiction drama "Doctor Who" have been found in a television station storeroom in Nigeria, nearly half a century after they were last seen, the broadcaster said Friday. Among the recovered 1960s footages are most of the classic story "The Web of Fear," a black and white adventure in which the Time Lord, then played by Patrick Troughton, battles a robot yeti in London's underground train system. The tapes were found gathering dust in a television station in the turbulent Nigerian city of Jos, a flashpoint of Islamist violence. The trove, described by the BBC as the "largest haul of missing episodes recovered in the last 3 decades," also includes the 6-part story, "The Enemy of the World." "It's thrilling," said Mark Gatiss, author of recent "Doctor Who" episodes. "Every single avenue seemed to have been exhausted, every now and then something turns up -- but to have two virtually complete stories out of the blue is absolutely incredible." The BBC destroyed many of the drama's original tapes in the 1960s and 1970s but some were copied for sale to foreign broadcasters. The episodes were uncovered by Phillip Morris, director of Television International Enterprises Archive. "The tapes had been left gathering dust in a storeroom at a television relay station in Nigeria," he told the BBC, adding that they were "just sitting on the shelf." "I remember wiping the dust off the masking tape on the canisters and my heart missed a beat as I saw the words, 'Doctor Who.' When I read the story code, I realized I'd found something pretty special," Morris said. The tapes originally went from Britain to Hong Kong and then on to a series of television stations in Nigeria as part of the distribution systems that operated at the time. Morris said he had been "lucky" to find the tapes intact given the high temperatures in Nigeria. "Fortunately in this case they had been kept in the optimum condition," said Morris. Morris added that it was "probably the largest haul of missing episodes recovered in the last 25, 30 years." The new programmes will be available on iTunes from today and will be released on DVD later. 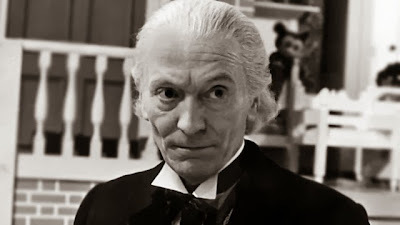 The adventures of Doctor Who -- a time travelling, humanoid alien who traverses the universe in Tardis spacecraft -- have maintained a loyal following since they were first aired in 1963. ⏩ Scottish actor Peter Capaldi, best known as the abusive spin doctor in the political satire "The Thick of It", was named in August as the 12th actor to play the role.